As a small business owner, you probably have plenty of things to deal with without having to worry about fraud. One of the hardest types of fraud to deal with is that which originates from your own employees. Nobody wants to hire employees, offer them careers, trust them to help build a company, and then find out that they’ve been cheating you. Most small business owners would rather do practically anything than confront one of their employees with evidence of theft. What Types of Fraud Are Most Common for Small Businesses? A recent report on occupational fraud uncovered some alarming figures when it comes to small businesses. The study found that fudging numbers on expense reimbursement forms and using company credit cards improperly cost companies an average of $30,000 each year. Larger companies may have more employees; however, small companies usually have fewer resources to detect and control these common types of fraud. One of the biggest problems is that the employees who commit these types of fraud don’t really see themselves as habitual criminals. In some cases, they just may not know their employer’s policies on allowed expenses. In other cases, some employees may even feel entitled to a little extra because they were inconvenienced by overtime or extra travel. Of course, using their company’s expense account to make a profit is theft, and it can also damage the chance for small businesses to make a profit. The good news is that these types of fraud are easy to control if you have the right tools. Instead of having employees make purchases and ask for reimbursement, you might issue each of them a high-quality business prepaid card to use to make work-related purchases. You can certainly explain this action in a very positive way. Simply let employees know that the business cards will keep them from having to wait for reimbursement later. You can access online and mobile software that allows you to specify the kinds of merchants your employees may use. You also have an online dashboard that allows you to set expense limits, so you don’t have to worry about exceeding your budget. The software also lets you view reports of any card declines and purchases, so you will know exactly what your employees purchased. If your company sends out electricians, for example, you probably need to allow them to buy electrical supplies or tools from time to time. Your settings can enable your employees to buy what they need. At the same time, you can prevent them from using their cards at other types of stores. With your reports, you can also see exactly what each electrician purchased and how much was paid for each item. You can stop most fraud before it even happens, and you can instantly pinpoint it when it does. 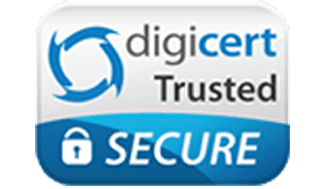 Work with an industry leader who has maintained a BBB rating of A+ to make sure you enjoy SSL security and reliable, online tools. 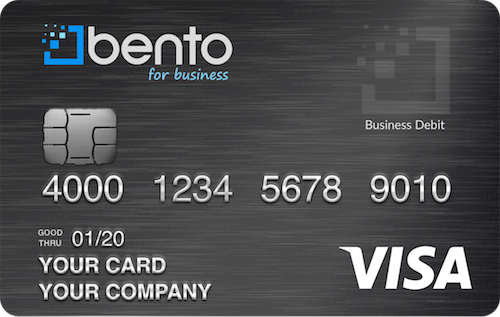 Bento is so certain that their business debit cards and high-tech apps can help you that the company even offers a 60-day trial of their cards. Learn more about how other small business leaders have reviewed Bento, or call 866.220.8455 today for more information. Sign up for a 60-day free trial today!